Edmonton’s vibrant arts scene offers the University community unique opportunities for learning, research and delight. 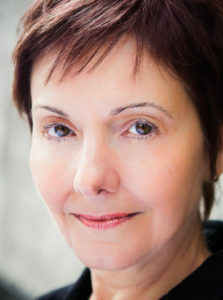 This year, Edmonton Opera produces a new Canadian opera called Lilies, composed by Kevin March​,​ with libretto by Michel Marc ​Bouchard. 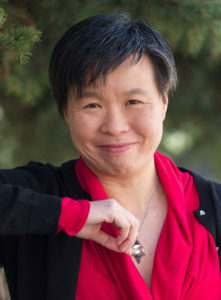 Research units at the U of A are teaming up with Edmonton Opera to investigate the inner workings of the ​operatic creation. The opera sets the story of Bouchard’s well-known play Les Feluettes, building on musical genres ranging from European art music to French-Canadian folk tunes. 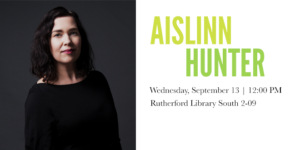 The Canadian Literature Centre and Sound Studies Initiative are exploring the sounds and story of this work during “Lilies Day at the U of A” on October 20th. “Lilies Day” comprises two free events that are open to the public. 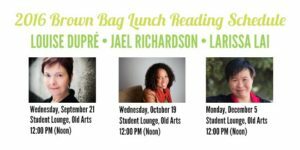 First, the CLC hosts​ librettist and playwright Michel Marc Bouchard for a special​ reading in their Brown Bag Lunch​ series at noon on October 20th. 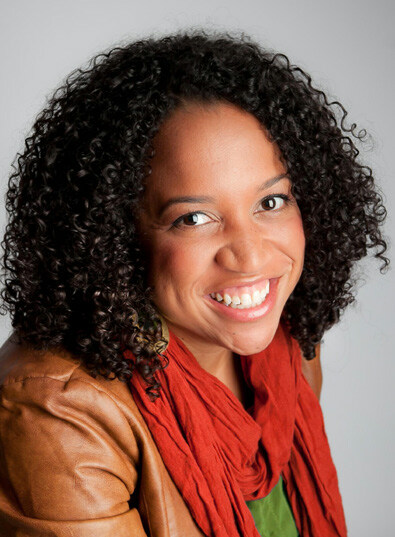 Then at 2:00 pm, the Sound Studies Initiative hosts an interactive listening event exploring the musical inspirations behind the opera. 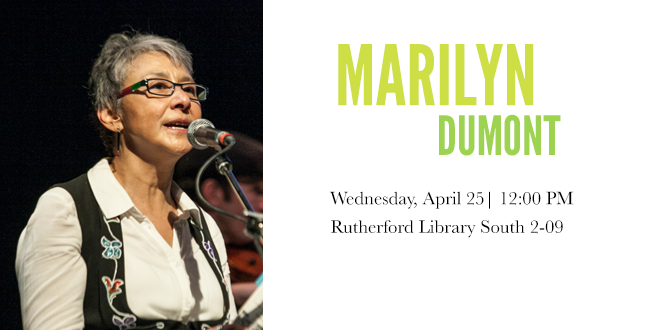 This Sound Session is led by ethnomusicologist Dr. Julia Byl, and features Lilies ​composer Kevin March. “Lilies Day at the U of A” is part of Edmonton Opera‘s community programming for this opera. ​For more information about Lilies day, please contact the Sound Studies Initiative (ssiresearch@ualberta.ca) or the CLC (clccomm@ualberta.ca). For more information on other Lilies ​events in Edmonton, visit www.edmontonopera.com. 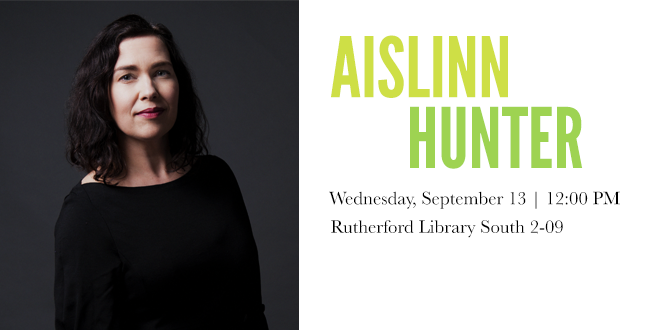 Please join us on Wednesday, September 13, 2017 at 12:00 PM (noon) in Rutherford Library South 2-09 for a Brown Bag Lunch Reading with poet, novelist, and scholar Aislinn Hunter. Join us on Wednesday, October 18, 2017 for this special Brown Bag Lunch Reading in collaboration with LitFest: Edmonton’s Nonfiction Festival featuring Chris Turner, one of Canada’s leading writers on sustainability. 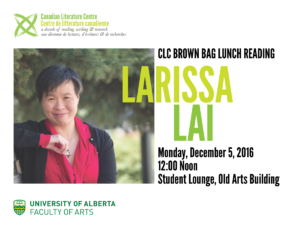 This reading will take place at 12:00 PM (noon) in Rutherford Library South 2-09 on the University of Alberta campus. 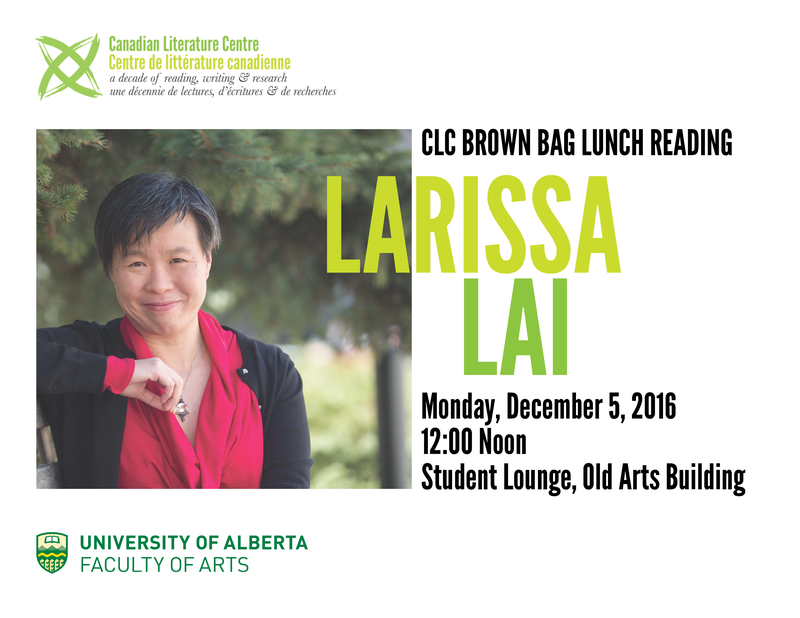 Join us on Friday, October 20, 2017 for this very special Brown Bag Lunch Reading, presented in collaboration with Edmonton Opera. 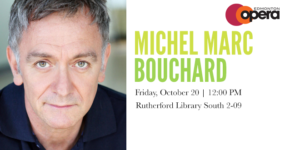 We will be welcoming Québecois playwright and librettist Michel Marc Bouchard. Edmonton Opera will be staging Lilies (Les feluettes), an adaptation of Bouchard’s play Les feluettes, on October 21, 24, and 27, 2017. 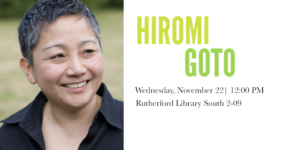 This reading will take place in Rutherford Library South 2-09.